Enrique Medina is President of Alliance Consulting International in San Diego, California. 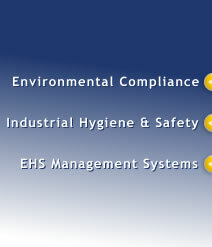 He is an environmental and occupational health and safety professional with extensive international experience. Mr. Medina has consulted for corporate and government clients, and community-based organizations in the United States, Canada, Mexico, Central America, the Caribbean and Southeast Asia in the areas of environmental compliance, environmental health and safety (EHS) audits, management systems, indoor environmental quality, industrial hygiene, and occupational safety and health. Mr. Medina is a board Certified Industrial Hygienist in comprehensive practice, and a Certified Safety Professional. He is a Fellow of the American Industrial Hygiene Association, and member of the American Board of Industrial Hygiene, the American Conference of Governmental Industrial Hygienists, and the American Society of Safety Professionals. Certified Industrial Hygienist: American Board of Industrial Hygiene, No. 6952. Certified Safety Professional: Board of Certified Safety Professionals, No. 24023. Lead Verifier for Greenhouse Gas Emissions Reports: California Air Resources Board, Accreditation No. H-18-099. OSHA Construction Outreach Trainer for 10- and 30-hour Construction Safety Training: OSHA Training Institute, UCSD. Hazardous Materials Management: Professional Certificate, UCSD. Alliance has successfully completed projects for industrial, commercial, service and governmental organizations. Our clients are involved in the alternative energy, automotive, aerospace, biofuels, biotechnology, chemical, construction, defense, energy, garment, manufacturing, mining, oil and gas, pharmaceutical, semiconductor, and utility sectors. Commercial clients include real estate development and retail companies. In the services sector we have worked with health care organizations, research institutions, hazardous waste facilities, municipal public works, engineering & consulting firms, non-profit organizations, and law firms. We have also worked for local, state and federal government agencies, and military installations. Our international experience and knowledge of the U.S., Canadian and Mexican regulatory, cultural and business environments translate into successful outcomes for clients. Mr. Medina has worked with non-governmental organizations (NGOs) on issues of food, nutrition, health care and bi-national environmental policy. He worked with migrant farm worker families in Central California in nutrition education, and helped start a migrant farm worker health clinic in Watsonville. He headed a project to bring aquaculture technology to rural communities throughout Mexico. He worked with environmental NGOs in efforts to develop Mexico’s “Right-to-Know” regulations, and assists organizations working to improve safety and health conditions in the global garment industry. In 2017 he was the recipient of the AIHA Social Responsibility Award. Mr. Medina is on the board of the Environmental Health Coalition, a San Diego-Tijuana environmental justice organization, and is a volunteer guide with the San Diego Natural History Museum Canyoneers, leading interpretative nature hikes to promote public stewardship and conservation of the region’s unique natural resources. Medina, Enrique. “Methanol Hazards and Safeguards: Lessons Learned from the Global Supply Chain”. Professional Safety, Journal of the American Society of Safety Engineers. Vol 59(6): 66-74. June, 2014. Zubieta, Ingrid, Brown G., Cohen R., and Medina, E. "Cananea Copper Mine: An International Effort to Improve Hazardous Working Conditions in Mexico". International Journal of Occupational and Environmental Health: 2009; 15(1): 14-20. Medina, E & Medina-Cleghorn R., 2009. "Deconstructing Green: What Organizations Mean When They Say They're Going Green". The Synergist, June/July 2009. AIHA. Medina, E., 2007. “Vapor Intrusion: Environmental and IAQ Challenge”. The Synergist, February & April 2007. AIHA. Medina, E. J., 1996. "Overview of Pollution Issues on the Mexico-US Border", in Environmental Toxicology and Risk Assessment: Fourth Volume. Thomas W. LaPoint, Fred T. Price and Edward E. Little, Editors. American Society for Testing and Materials STP 1262. For additional information on Mr. Medina's professional experience in the areas of auditing, regulatory compliance, industrial hygiene and safety, process safety management, indoor air quality, site assessments, risk assessment, and training you may download Alliance's Statement of Qualifications, and project descriptions below.